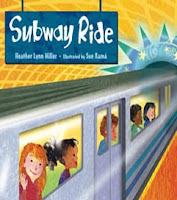 Whether you live in a city with a subway system or are planning a trip with a child to a city where there is a subway system, Subway Ride by Heather Lynn Miller and illustrated by Sue Rama is a must read. The author's perspective is that riding subways is a great adventure whether in your own country or in one of the 10 international cities that are featured in the book. Whether you're traveling in Cairo or London, Chicago or Mexico City, the similarities between subway systems are evident making the people who ride them seem familiar too. In this way, subways are an important part of each community and link communities together. Fun facts about each of the subway systems are included in the back such as the longest escalator in the Western hemisphere is located in the Washington, D.C. metro at the Wheaton Station. It climbs 230 feet from the tracks to the street. Don't forget to enter the I SPY Prize Package Giveaway. You can enter here until July 4th. 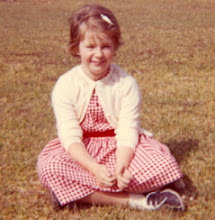 Review: Grandmother, Have the Angels Come?